Episode # 94 of THAT'S WHAT SHE SAID finds both Matt and Kevin wondering what the significance of an extended index finger might be. Hola, amigos y amigas! Beinvenidos al programa de TWSS. When Donna stops by for a sales presentation, Michael can't quite seem to get a read on her feelings for him. Despite discouragement from everyone in the office (sans Pam), Michael, like Rudy, refuses to give up. People don't just TAKE OFF barettes, you know. Meanwhile, Sabre's looking for a few good minorities, and Dwight is bent on getting his own puppet into power. Too bad for him that Kelly seems to have plans of her own and, like the proverbial elephant, never forgets. Incidental music provided by the Podshow Podsafe Music Network. Email us at TWSSpodcast @ gmail. 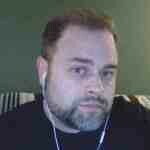 com, or leave a comment on our blog page at TWSSpodcast. com. iTunes reviews are always appreciated! Help spread the word! Also, PLEASE help support the show by signing up for a FREE 14-day trial of Netflix. Instantly watch every episode of the office from the comfort of your laptop, desktop, Wii, PS3 or xbox360-connected TV. Go to http://www.netflix.com/twss to start your free trial today. Also, check out http://www.audiblepodcast.com/shesaid for a free audiobook download. 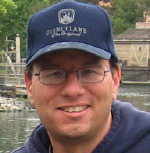 Thank you for recording all these podcasts I enjoy listening to them while I work, and I\'m only 14!. Also, I am a big fan of Dwight especially when he bickers with Jim. Just having a little fun, Gazzoo... That\'s good to know though, I enjoy P&R. I want to see them bring in a new boss if Steve Carell leaves and I want that role played by none other than Seinfeld\'s own David Puddy: Patrick Warburton! \"Parks & Rec is already on life support...\" Huh Brandon? Just because it\'s not on the fall premiere schedule doesn\'t mean the show\'s in trouble...the network wants to have a proven quality show in the bullpen when one of their new shows inevitably fails. Awesome podcast as usual. No big comments directly related to the show but wanted to mention that I am loving the Netflix streaming via Wii. I have become a big fan of Party Down and am seeing the cast from Party Down on other shows more frequently. Another good streaming series is Better Off Ted which stars Portia de Rossi from Arrested Development. Good stuff. Well worth signing up for the free trial, watching some great shows, and supporting our favorite podcast. Thanks as always for the podcast. This has been a tough season of The Office for me, and I am having a hard time staying interested in the show, but always enjoy the podcast. Perhaps Kevin and Matt can write an episode of the show and get them back on track. Liked Haley and Tyrone\'s comments about Carell leaving the show. I think everyone\'s looking in the wrong place for the replacement boss though. To me, there\'s only one choice. Dwight. Since Parks & Rec is already on life support, imagine a return of Cousin Mose as Assistant to the Regional Manager. Then one last, triumphant season of standout episodes, where Dwight converts the office into any number of wild machinations to serve his twisted desires. Truly, that\'s the way to go out on top. Not wimper to a close when Carell walks, or leave it to Gabe, the Stranton Strangler, as would Matt would suggest. Or put Darryl, the Frat Pack Infiltrator in charge, as Kevin has opined. 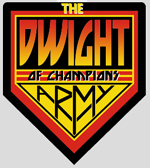 No, dear friends, there\'s only one choice, a leader of an army of champions, the one and only, Dwight Fart Shrute. Nitpick: Kelly wasn\'t wearing a sari. A sari is a long single piece of fabric that is wrapped around the waist and shoulders, usually worn with a blouse to cover the breasts, and leaving the belly and the lower back exposed. Kelly was wearing a salwar khameez, which is a loose pair of pyjamas worn with a long tunic and often accessorized with a scarf. Guys, check out http://comedians.comedy.com/2010/03/08/12-funniest-comediennes-you-should-know-about/ featuring at 2nd spot Ellie Kemper (receptionist Erin). Solid podcast as always, gents. I suppose I\'ll have to watch the episodes after Body Language finally so I can continue listening to the podcast. I have to say it: The Office has lost me. I don\'t care about it anymore, and I heard the finale was terrible. It was a decent run! great episode guys, keep it going Btw I think a great way to get you guys caring about the podcast again (I can\'t blame ya, this season has been rocky at best) I\'d just go back and watch Season 2. That\'s what I\'ve been doing instead of studying for finals and I am loving it!